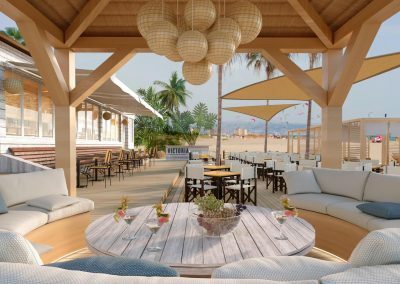 This Los Alamos Beach Club is something very different. 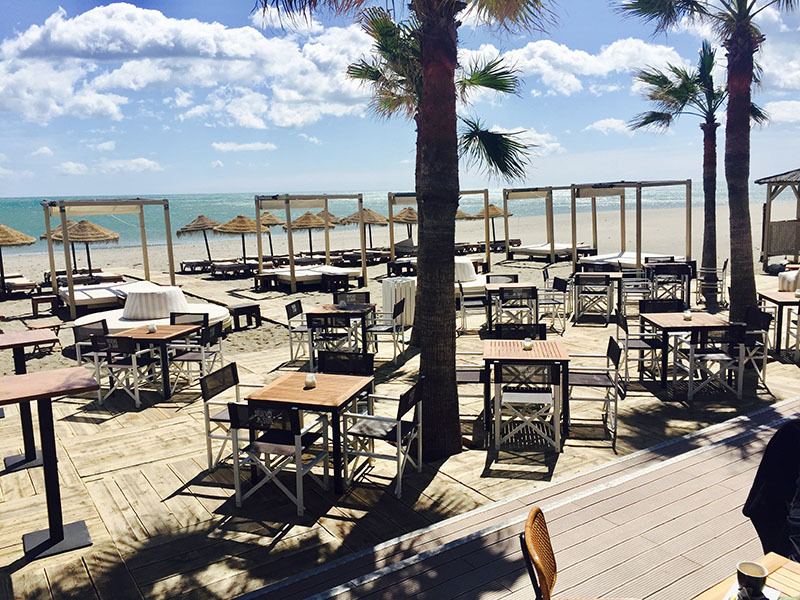 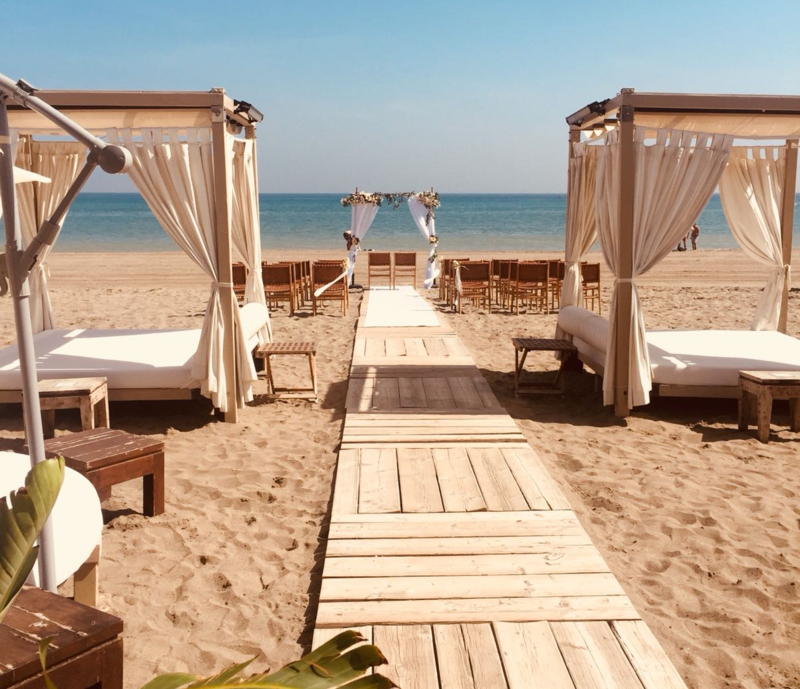 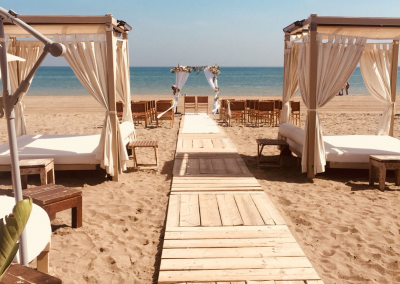 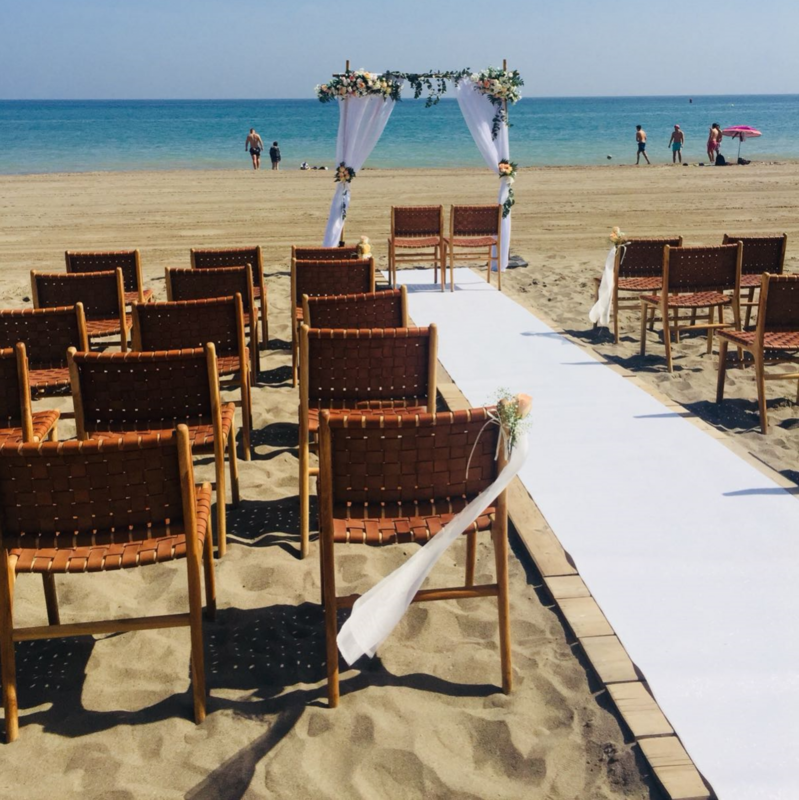 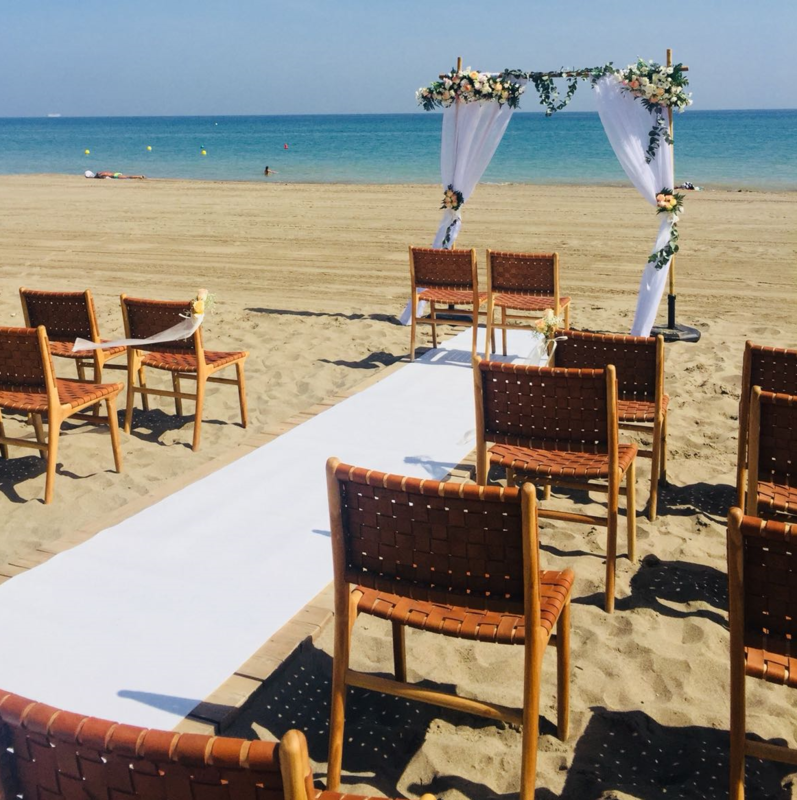 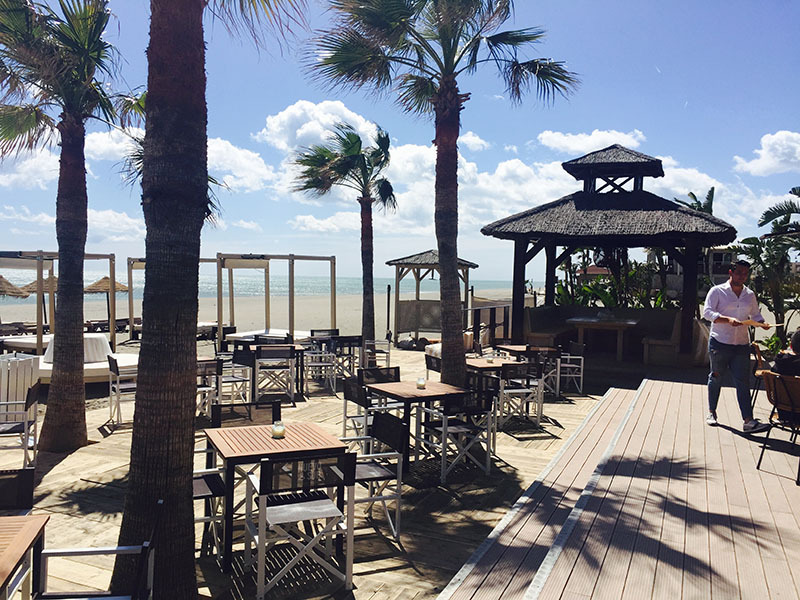 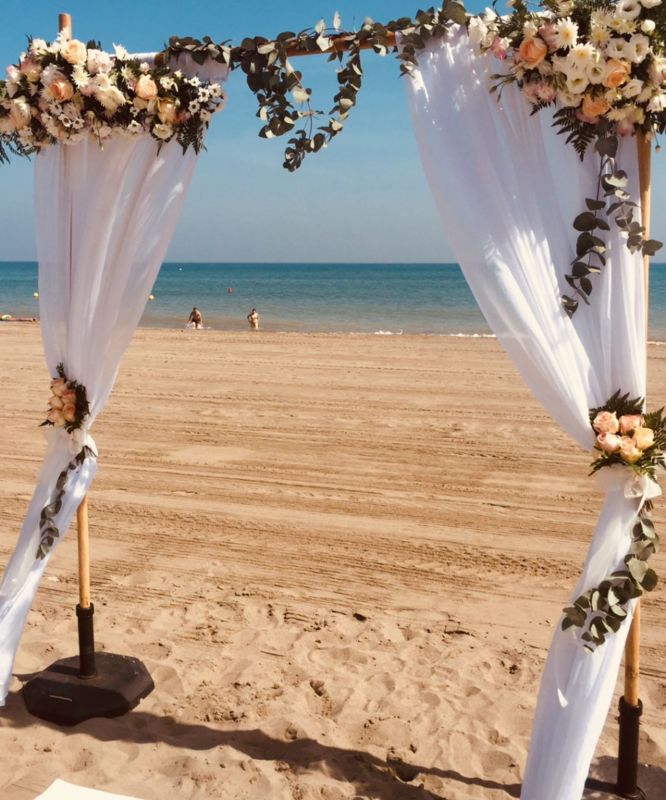 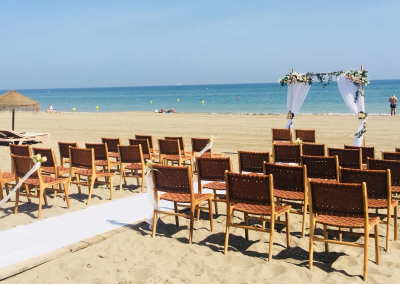 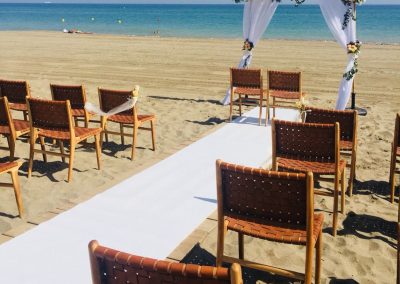 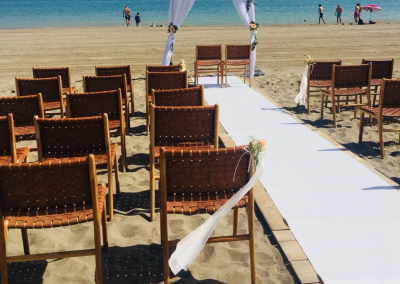 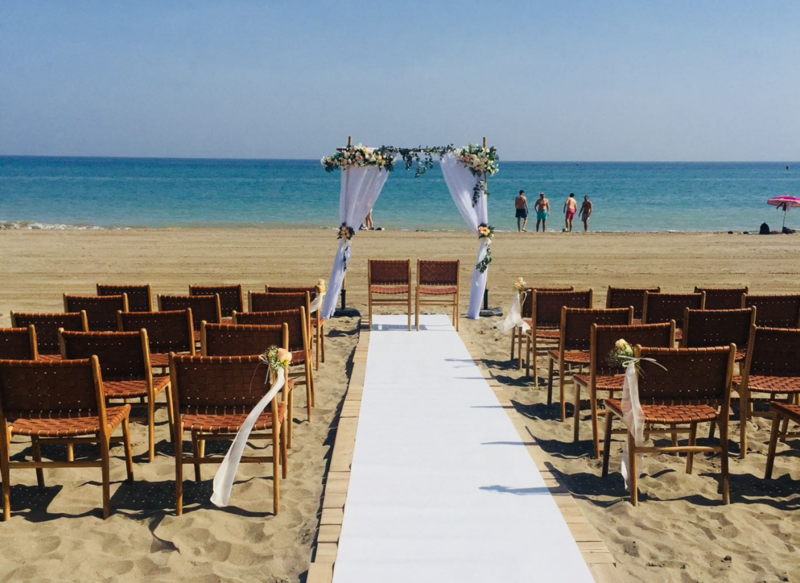 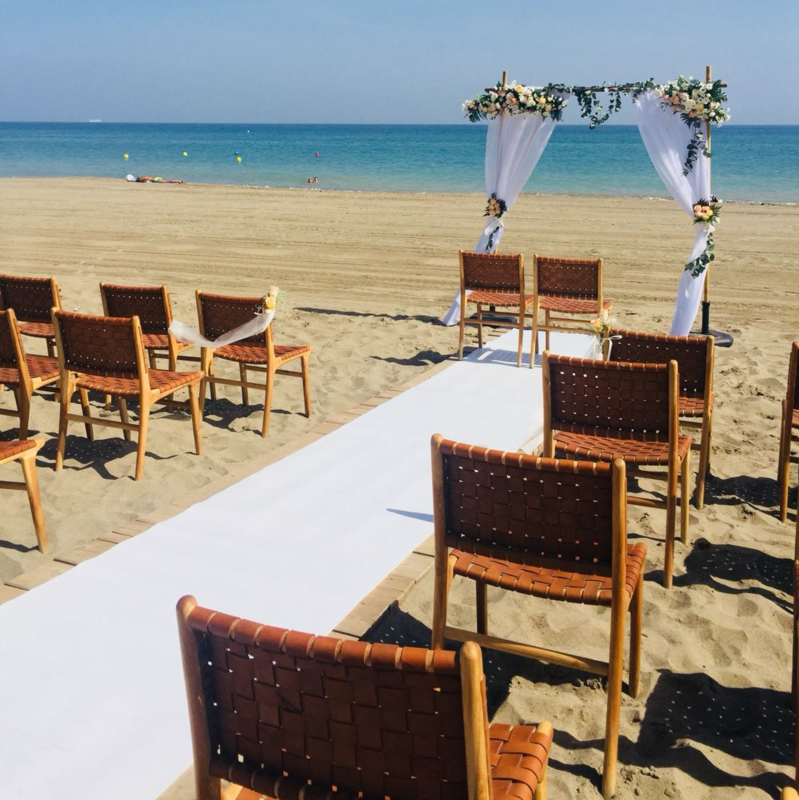 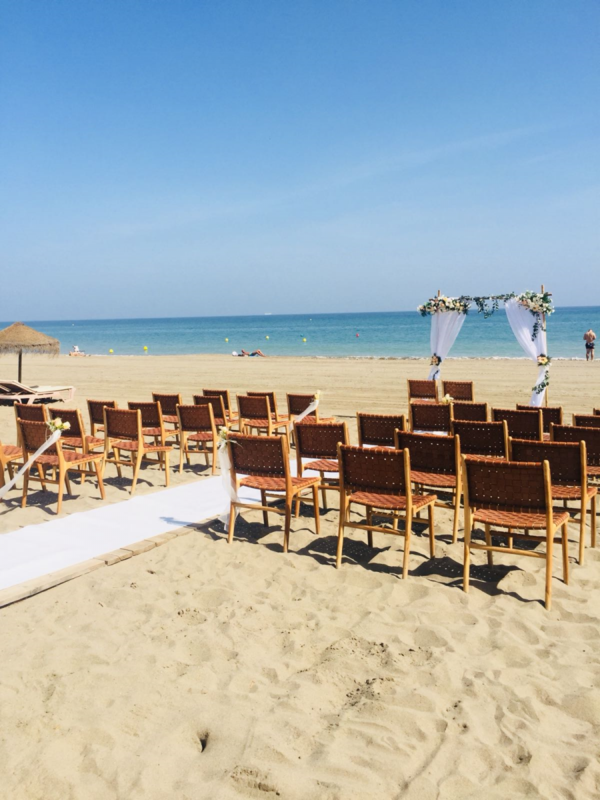 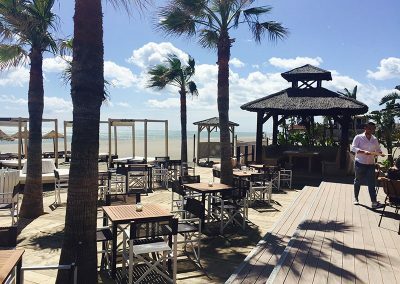 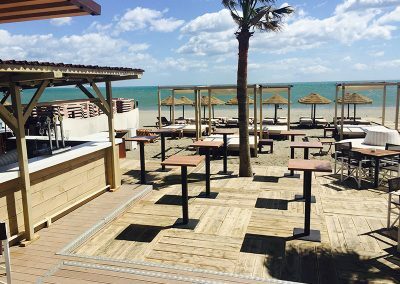 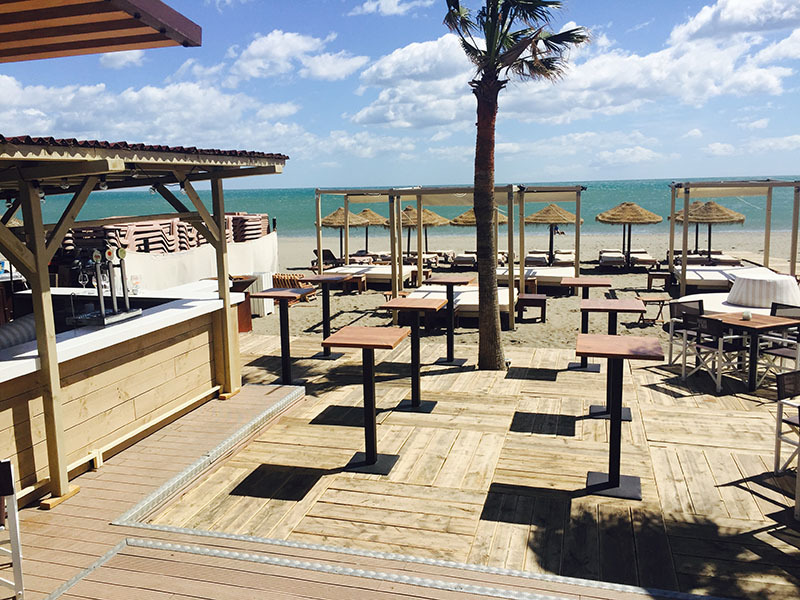 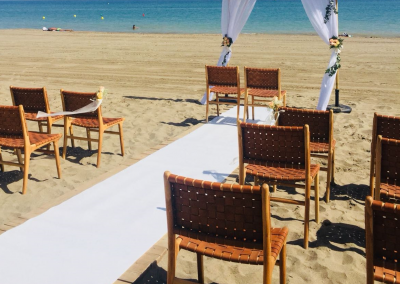 Located in Los Alamos area of Malaga and right on the beach, caters for weddings of 10 – 200 people. 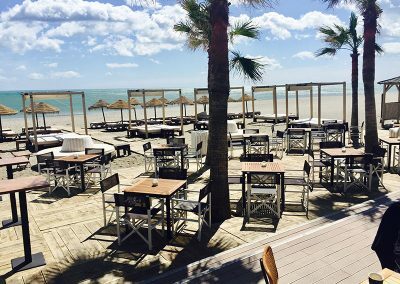 This location is less than 5 minutes drive from Malaga International Airport. 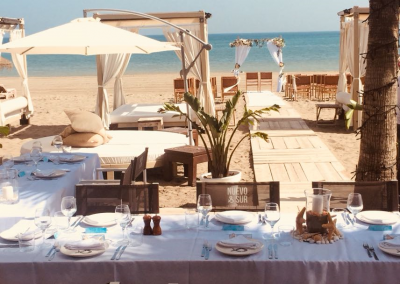 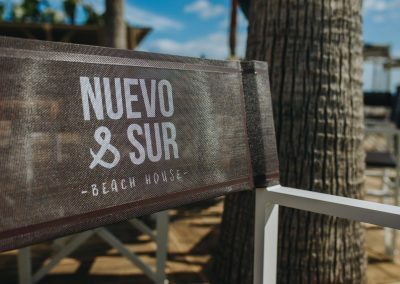 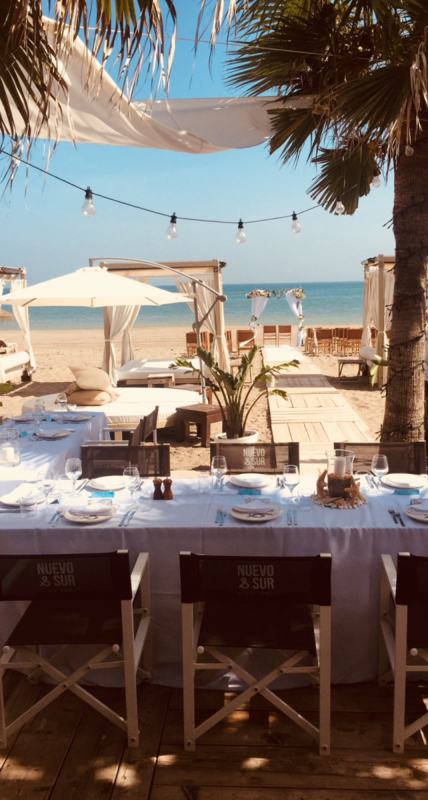 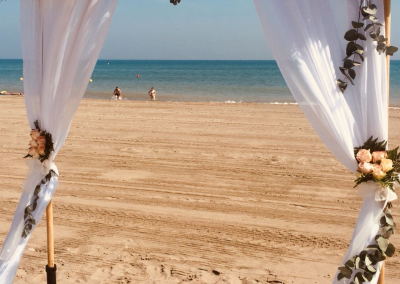 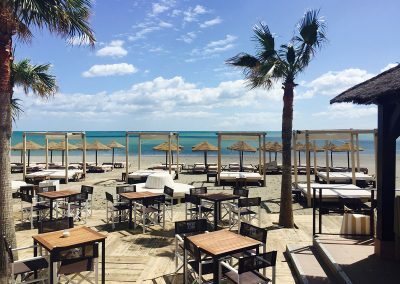 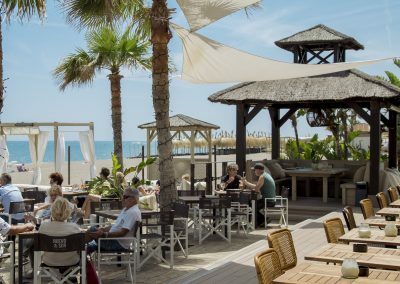 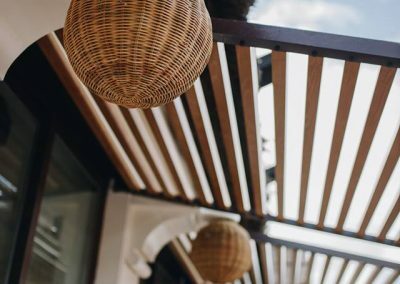 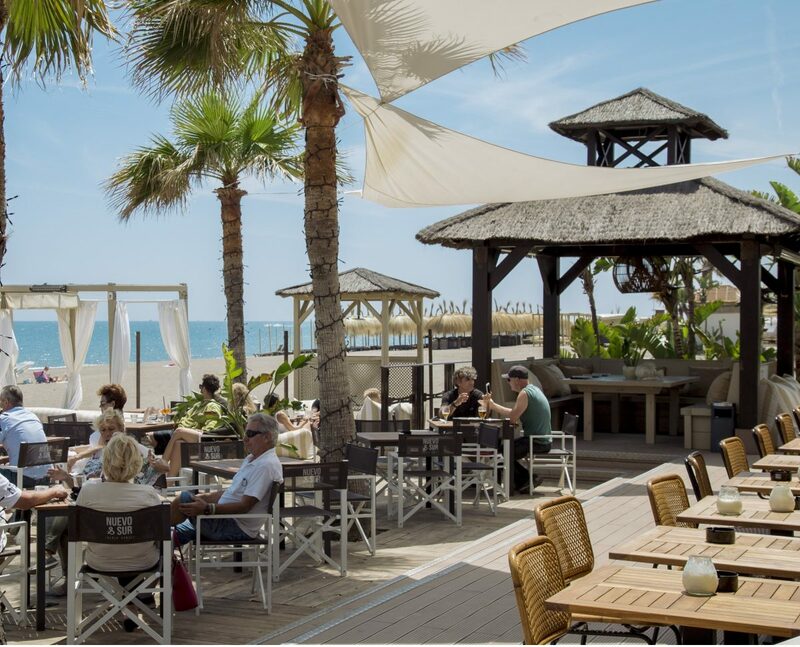 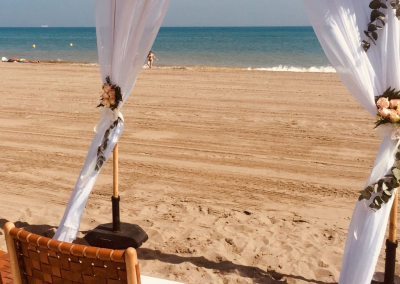 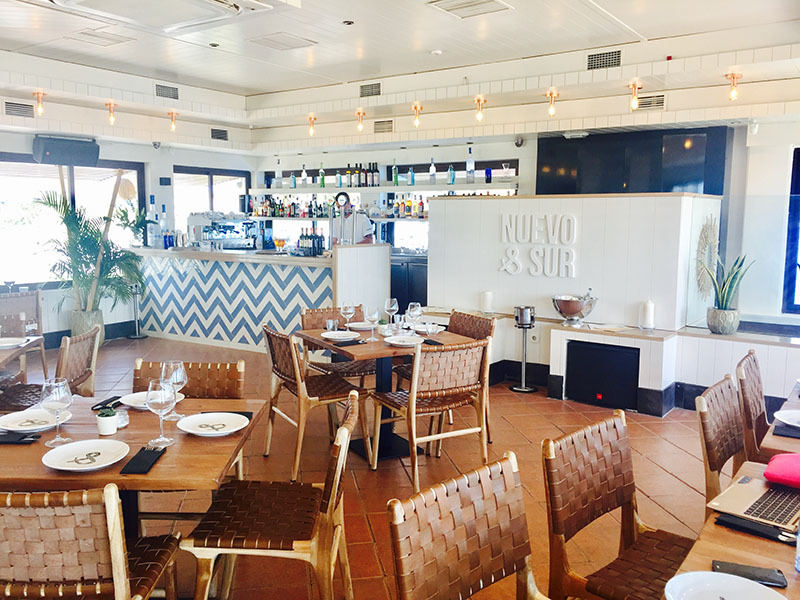 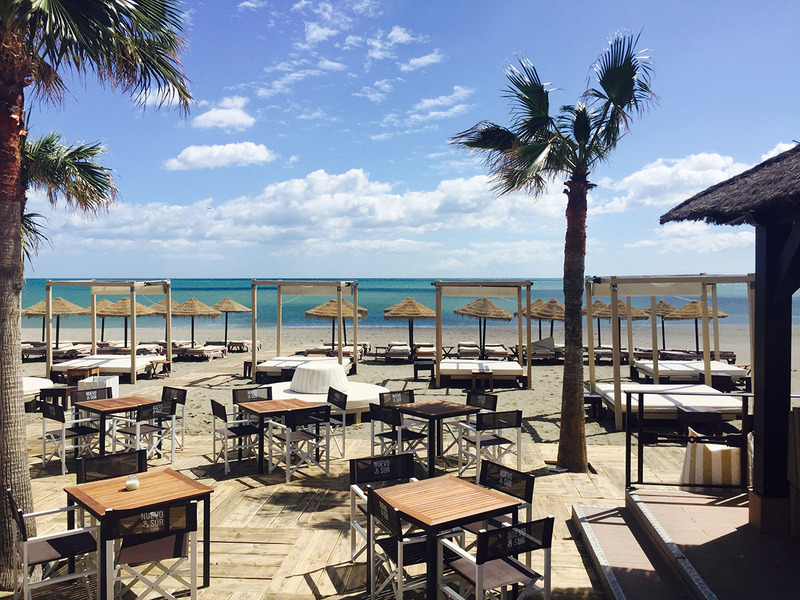 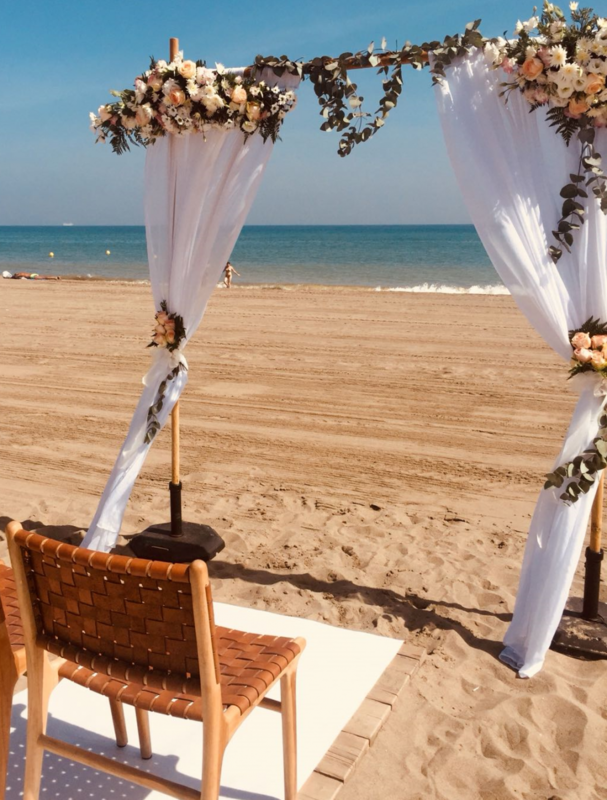 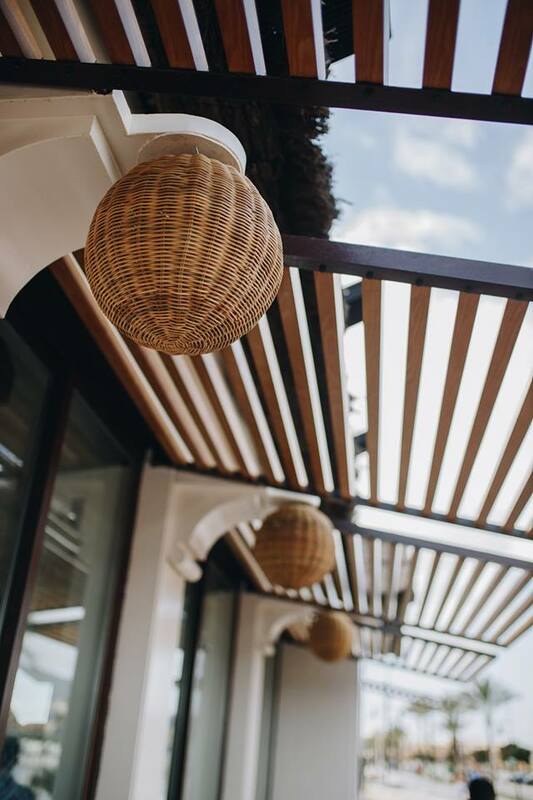 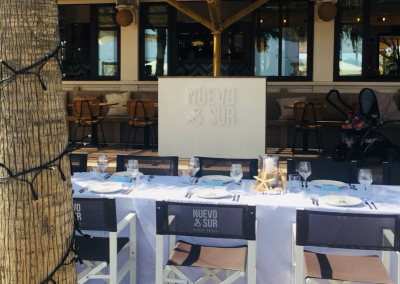 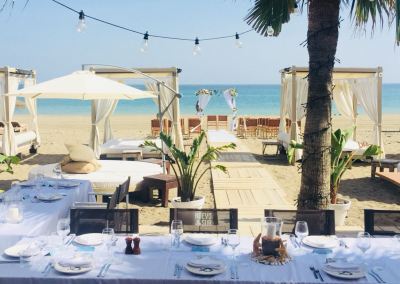 Nuevo y Sur Beach House offers six different outdoor and indoor locations where you can welcome your guests with the best sea views of Malaga. 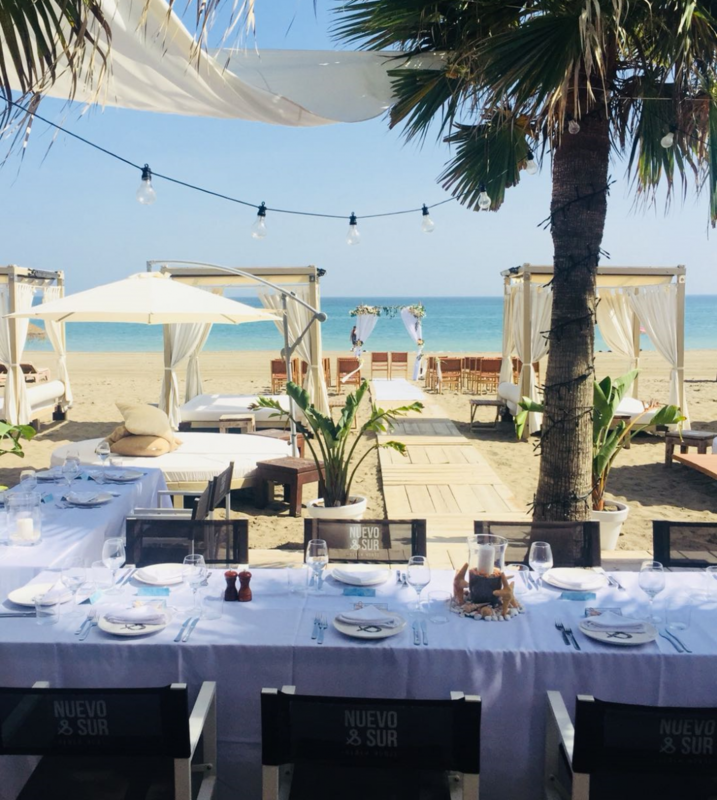 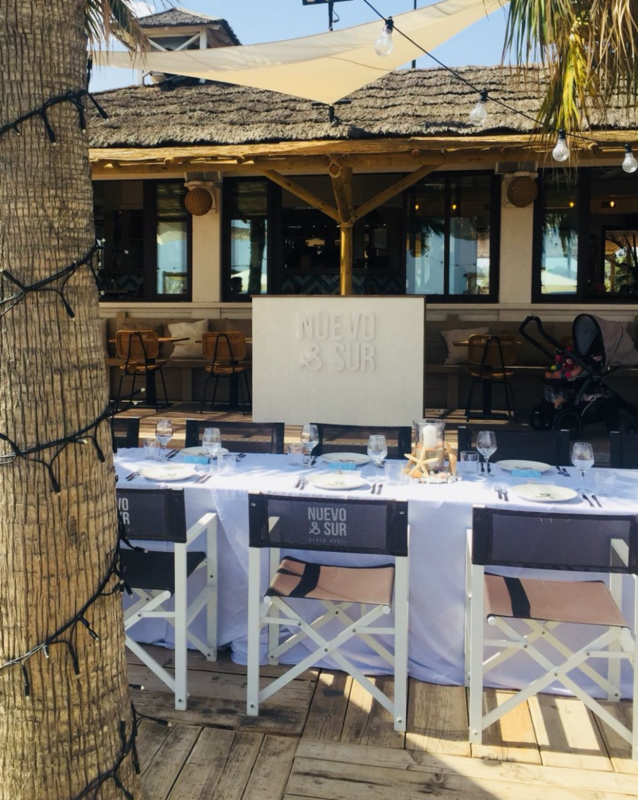 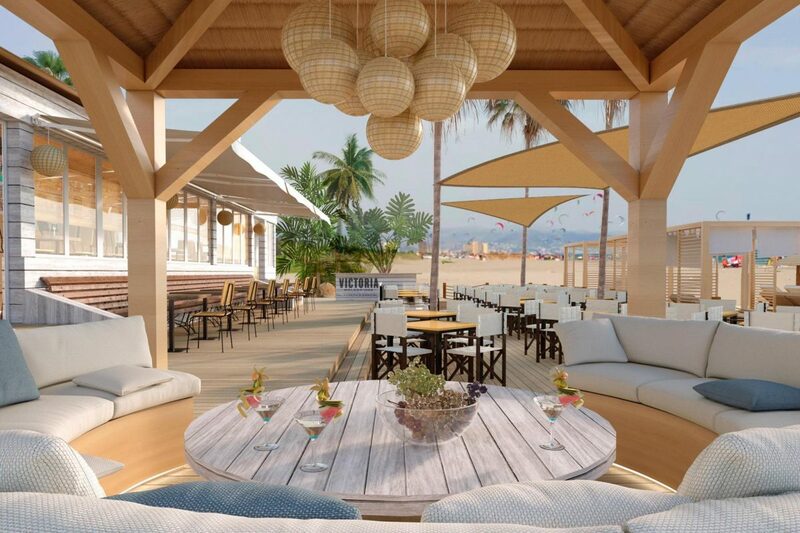 There are various options available for groups of all different sizes, anything from exclusive rental of the entire beach club, to one private table for two. 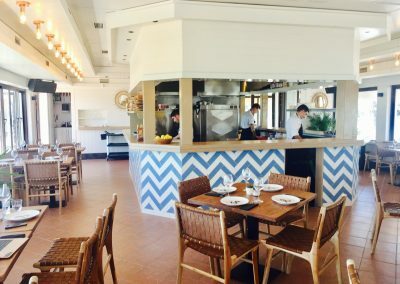 Menus here can be tailored to your personal requirements, and there are options for BBQ, Buffet or sit down meals. 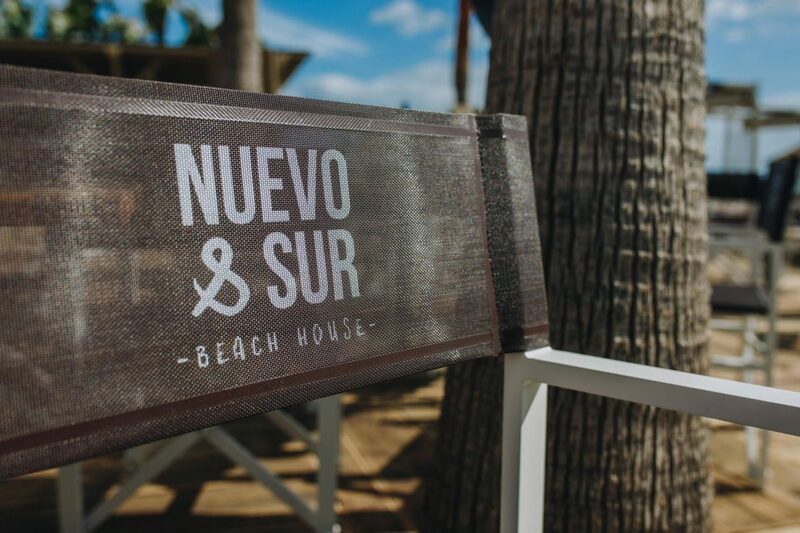 Nuevo y Sur is also available for pre and past Wedding parties and gatherings, beach bed days or BBQs.